Indian Education: Anything is Possible, 41st CCAIE - Come and say hi! 7 Generation Games will be at the 41st Annual California Conference on American Indian Education (CCAIE) this upcoming March 18th-20th in Los Angeles. 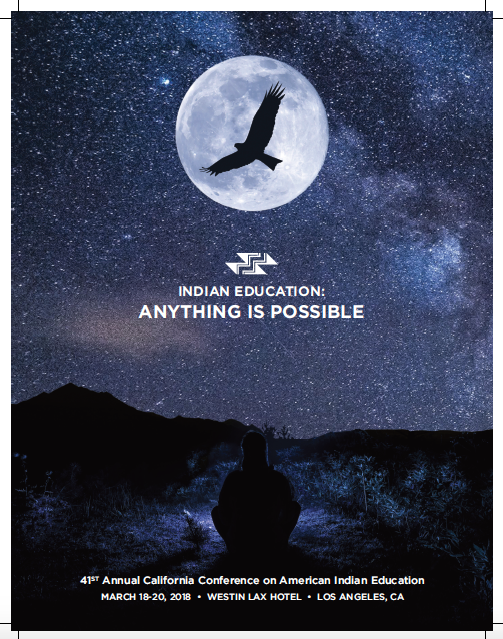 The theme of this year’s conference is “Indian Education: Anything is Possible”. This will be our first time at this conference and are excited to be a part of the event! 7 Generation Games is a firm believer in the importance of Native American history. Not only the importance of it, but the accurate portrayal of Native American history. That’s why we create games that combine Native American history, math and adventure gaming. So that kids can have fun while learning about that history. Overall, we strive to provide a better education and future with “games that make you smarter.” We feel our company goal is reflected in this year’s conference theme which is why we’re delighted to attend and connect with everyone. If you’ll be there too, then definitely come by our table and say hello! You can still get tickets for the conference on the CCAIE’s eventbrite page. Learn fractions, go canoeing, go spearfishing, and learn about the Ojibwe as your character travels across the Great Plains. Buy Fish Lake today!